To call what Brian Silva did to the former site of the Hampden (Mass.) 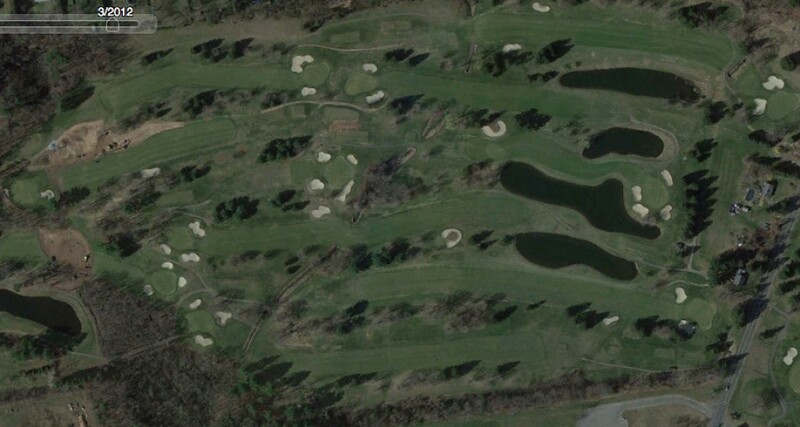 Country Club a “renovation” nowhere near approaches the breadth, width and depth of what want on there. 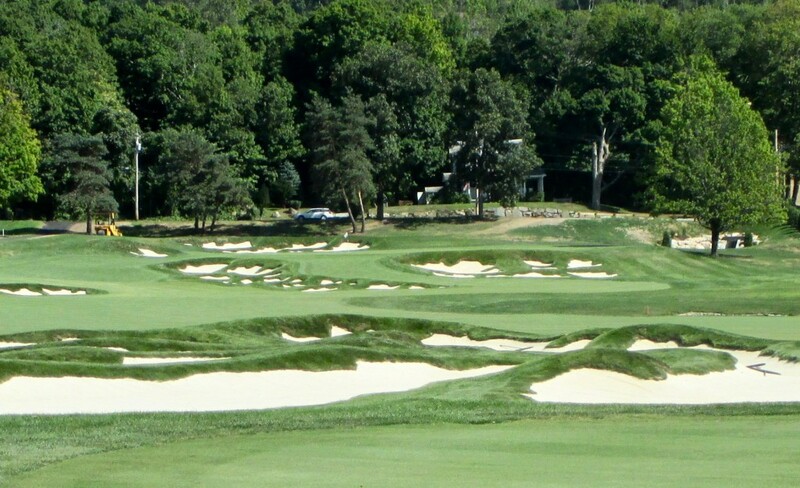 What started off as a reworking of the bunkers at an abysmal Al Zikorus design (even by his standards) turned into a reported $30 million re-imagining that produced one of the finest golf courses not just in Western Massachusetts but in all of New England. It will send reverberations in the private golf facility world all the way to Hartford, Conn., Worcester, Mass. and southern Vermont. GreatHorse is that good. The extraordinary facilities of the club accentuate the Silva design. The clubhouse, with its Monet on the wall in the main entrance, is mind-blowing in its detail and yet perfectly suited to the site, not even hinting at ostentatiousness.The locker rooms are inviting and comfortable. The practice facility is world-class. There is dedicated year-round indoor golf teaching building. It’s a family club so there are basketball courts, a skating rink, tennis, and a pool. Cabins for overnight stays will soon be constructed. It is the golf course, though, that is the star. Massive amounts of earth were deftly moved by Agri-Scape Golf Course Construction to erase the Zikorus layout and implement Silva’s design, especially on the hilly portion of the course, the location for holes 1, 9-10 and 15-18. This is a private club and members, just as they should, will have to spend more than a few rounds figuring out how to best plays holes and learning how the holes change with varying winds, tee locations and flag positions. This is not design that will be easily conquered or mastered. Boredom will not be a problem. When three friends and I all stood on the tee of the par-5 second and had a discussion about what club to play and what are best lines of attack depending on the length we hit, we knew we were onto something special. Utilizing dozens and dozens of artful bunkers, Silva created a layout full of angles and options, the two fundamental keys to a great design. Utilizing almost all of the Hampden Country Club routing, Brian Silva turned the property into one of New England’s finest courses. The greens vacillate in size and style, some with much movement, others more subtle, but none that could be classified as boring. The par-3 12th has a putting surface nearly 40 yards long that runs front to back. By moving the flag and the tee markers, there can be at least a five-club difference in how the hole is played. Throughout GreatHorse, fronts of greens are open and the ground kept firm, which means the bump-and-run game is encouraged and can often be the best play. Before GreatHorse there was the bland Hampden Country Club. For fans of Silva, a course of this quality is no surprise. GreatHorse fits perfectly with his best creations, the foursome of private facilities, Renaissance Club, Black Rock Country Club and Cape Cod Golf Club all in Massachusetts, as well as the Black Creek Club in Chattanooga, along with the the public Red Tail Golf Club, also in Massachusetts. Silva’s restoration work at places like Fox Chapel Golf Club, Country Club of Charleston, and Interlachen Country Club have rightfully received acclaim for years. Even though he was the Golf World Architect of the Year for 1999, Silva has remained unknown to most golfers outside of New England and never received the accolades on a national level that his work deserves. Recently, Golf Inc. magazine named the municipal Keney Park Golf Course in Hartford, Conn., its renovation of the year even though Keney was a year late in opening and the cost 100 percent higher than budgeted. There can be no way the Golf Inc. people who saw Keney took the 27.7-mile drive (according to Mapquest) to GreatHorse, played there and then thought Keney was better. Maybe, though, the tide is changing for Silva. Golfweek fawned over GreatHorse in a review. No matter, whether Silva and his latest renovation gets the acclaim they are due should be of no consequence to the members and the owners. The fact remains, GreatHorse is of elite status.